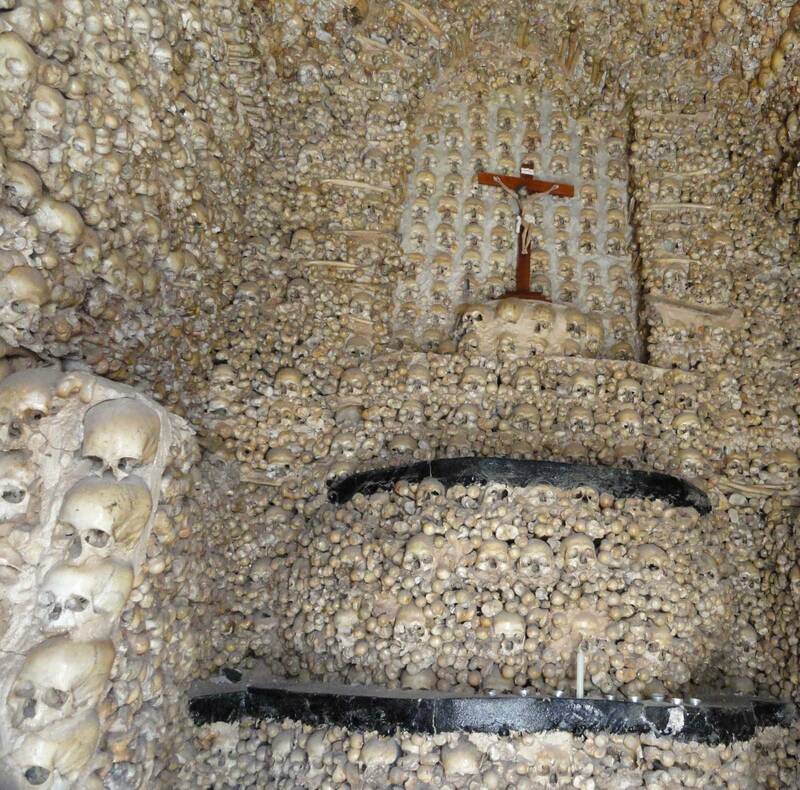 You've Probably Heard Of This Bone Cathedral, But You Still Won't Believe What's Inside It. In the Czech Republic is the world renowned Sedlec Ossuary. It’s a huge mausoleum containing the remains of 40,000 to 70,000 people located underneath a small Catholic chapel. Most of the dead were killed by the Black Plague and Hussite Wars during the 14th and 15th centuries. As you might imagine with that many bodies, the mausoleum was getting crowded. Around 1500, a nearly blind monk was tasked with stacking the bones in the chapel itself to save space. By the late 1800’s a woodcarver by the name of Frantisek Rint had begun arranging the bones in artistic patterns. The results are really really reallllllllly creepy. Just check out a few pictures from the place. You’ve been warned. A hint of what’s ahead. Welcome to the church of bones. 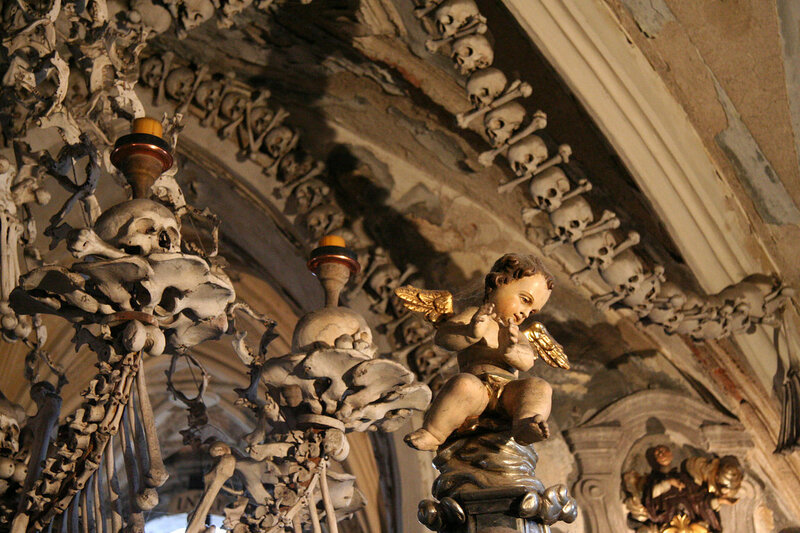 One of the oddest things inside the church is a chandelier made entirely out of bones. 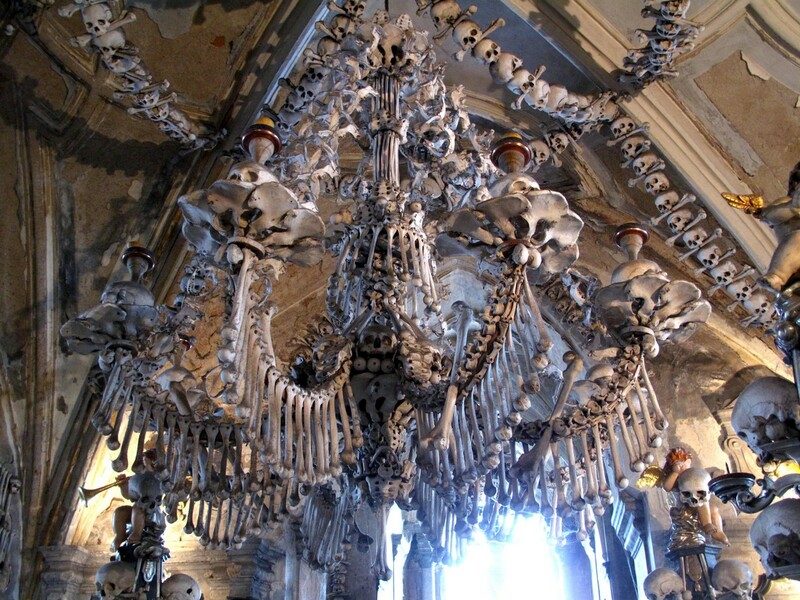 Supposedly, the chandelier uses at least one of every human bone. A bigger view of the chandelier room. Surprisingly the church of bones, as some call it, is not haunted. I bet it looks even creepier when the chandelier is lit. Well I know exactly where I’m not going to take my next vacation. Share these creepy pictures from the “church of bones” with your friends on Facebook by clicking below.